Considered by many to be eclipsing the ever popular Logitech C920, the Razer Kiyo is certainly a powerful webcam for any streamer - especially with it’s (relatively) small price tag. Available for just under $100, no one can go wrong picking up this webcam. It’s nothing to go out of your way for, but a streamer in need will be more than happy with this purchase. Really, this is no surprise. Razer is widely known for their quality products, so it shouldn’t come as a shock to anyone that this webcam does the same. Loaded with features and equipped with almost everything you could need in a webcam, the Razer Kiyo punches far above its price tag. However, it isn’t perfect. The most immediately noticeable feature of the Razer Kiyo is the sleek, compact design. One quick look at the camera demonstrates just how well the Razer Kiyo is made. Built to achieve several different angles and add light to any situation that needs it, the Razer Kiyo is both versatile and portable. There’s no need to hide this webcam. Of course, the built in lighting does more than just look good, too. A favorite of many streamers and even many in TV production, you can find ring lighting on any video platform. The adjustable ring light on the Razer Kiyo is as good as many seperate ring lights, and helps prevent awkwardness in your set up. The lighting is certainly up to par as well, throwing even lighting on the principle subject of any shot. This creates the perfect centered face cam shot that’s widely used on Twitch. The camera does more than its fair share to help out with video, as well. Capable of streaming 30fps at 1080p, the camera effortlessly captures high quality video. Of course, many video game streamers will be more interested in the 720p at 60fps option, which is a better fit for the picture-in-picture stream that is typical on Twitch. This 4 megapixel camera is more than powerful enough for anyone not in Hollywood. The Razer Kiyo easily rivals the Logitech C920 in image quality, though it loses the fight in some areas. While the raw quality isn’t quite as high, there is one area where the Razer Kiyo easily exceeds the Logitech C920: color. The Razer Kiyo captures color with nearly true vibrancy. The video you capture with the Razer Kiyo can easily look like it was stolen from a wannabe Instagram influencer. Interested in other options? Click the image for our article on the top webcams for streamers! Further helping to ease things along, Razer has gone out of their way to ensure that this camera is as plug and play as possible. The Razer Kiyo can easily be plugged in and start capturing video, with little to no start up time required. It has also been built to seamlessly integrate with bth XSplit and Open Broadcast Studio, making it a simple install for most streamers. For all of it’s great image qualities, the first knock on the Razer Kiyo is the noise that it can sometimes pick up in images. While the principal subject often appears crisp and clean, you might notice some noise in the background of an image. This isn't’ a huge issue - in fact, you might not know if you weren’t looking. However, it is certainly something to think about. While we haven’t tested it, it’s logical to assume that this could also create issues with green screens if you use one. It’s also important to note that the built in sound quality of the Razer Kiyo is obviously poor. The sound might suffice for simple video meetings, it would come across as wholly unprofessional for any sort of content creator. Sound is possibly the most important attribute of a stream - in fact, it’s arguably more important than image quality - so any lack of quality here can reflect extremely poorly on a streamer. There is also no mention from Razer about integrations with software beyond Open Broadcast Studio and XSplit. While it’s reasonable to assume that the plug and play nature of the device will prevent any major issues, this is likely to cause some friction. The Razer Kiyo seems to work perfectly well with major video chat platforms like Skype and Slack, but might run into issues with more niche streaming software. Of course, most streamers are more than happy with OBS, so this shouldn’t be a major issue. However, many people are also upset with Razer for the lack of any software for the Kiyo itself. While integrating well with OBS and XSplit, the plug and play device doesn’t have any controls other than those wired into the webcam itself. The best that you can do is to play with the settings on whatever software you are using, but this obviously lacks fine control. The Kiyo also has no integration with Synapse, which handles these types of controls for other Razer devices. This lack of fine control can couple with the ring light to create issues in some setups, as well. The settings are more akin to “on and off” than they are to any actual adjustment, which can make it difficult to integrate with other lights (including natural). In addition to this, many have reported feelings that the lights are too bright and can hurt their eyes after some time. Unfortunately, it’s also less than stellar in no-light setups, where the ring light can create some noise in the peripherally lit area. Like many things, you are also likely to find minor inconveniences with the Razer Kiyo. While these aren’t make or break in any situation, they are things that you should know. One example is the cord, which many find too short at only 3 feet (this can be a pro for some people, though.) The Razer Kiyo also sits awkwardly on some monitors, and can run into issues with Mac and Linux. is the razer kiyo worth the price? Despite some shortcomings, the Razer Kiyo is a great webcam. You might want to avoid this camera if you have no or an abundance of lighting, though it integrates well in low and medium light set ups. You should also not purchase this webcam if you won’t be pairing it with a mic. Avoid the camera as well if you plan to do full screen shot videos or streams, or if you’re plugging it into a console. Generally, the webcam is not fit for uses other than streaming or video conferencing. Where this camera shines, though, is in the Amazon cart of a fledgling streamer. If you are just beginning to stream and looking for a good webcam, or you are looking to help a loved one get started, then you can’t go wrong purchasing this camera. It’s also a fantastic option if you’re on a budget in general, though you should still compare it to the C920. 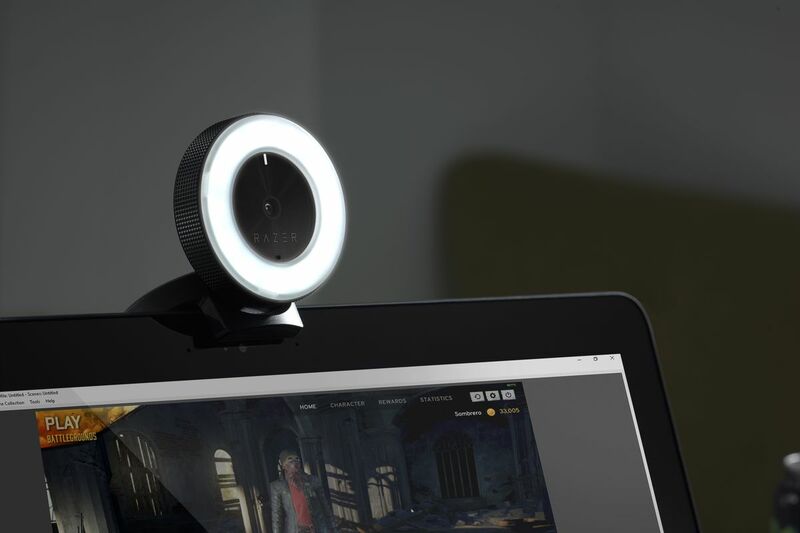 Finally, if you need a webcam for when you’re on the go, the Razer Kiyo is perfect for you. Paired with a decent microphone, the Razer Kiyo is essentially a streaming set up in a box. By no means is the Razer Kiyo perfect, but in the areas where it shines it really shines. For it’s relatively small price tag, the Razer Kiyo is fantastic. And if you’re looking to spend a little more, you should still consider it. The gap between a $300 webcam and a $100 webcam is slowly closing, and the Razer Kiyo has clearly sped up that process.